Do you need a trust to preserve your assets? One of the main ways to protect your assets during your life, after death, and even after the death of your children is by using a trust vehicle. Individuals need the help of professionals to design a comprehensive plan for their trust needs if they want to ensure the trust works as planned. 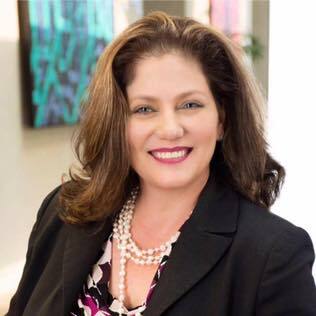 Your attorney can help you prepare the trust document, additional estate planning documents, and deeds transferring your real property or mineral interests into the trust. Your financial advisors can help you transfer your investment funds and accounts into the trust. Your banker or a corporate trustee can help you manage the trust during your life, upon disability or after your death. 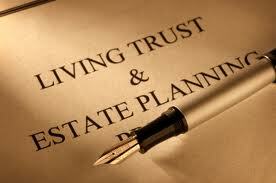 The benefits of incorporating trusts into estate plans may include the ability to provide for ongoing professional management of assets in the event of your disability, and to help your family avoid the expense and delay of probating your estate, can pass more of your estate to the beneficiaries by minimizing your estate tax liabilities, and can benefit charitable organizations during and after the individual’s life. There are various types of trusts that can be used and while this list is not exclusive it describes does provide some of the basic types of trusts as well as some of the more sophisticated types of trusts used in estate plans. A Testamentary Trust is one created after your death through language contained in your will and can be used to limit the estate taxes upon your spouse’s death and to control or govern the assets for your children or grandchildren until they reach a certain age. A Credit Shelter Trusts is a type of trust that allows the assets specified in the trust agreement to pass to the beneficiaries named in the trust, normally your children, while at the same time allowing your spouse to maintain rights to the trust assets and the income they generate during the remainder of your spouse’s life. Upon the spouse’s death, the assets can pass free of estate tax to the next generation. A Family Trusts is a trust that bypasses the surviving spouse and distributes your assets directly to the children or other heirs. A Marital Trust is a trust that qualifies under the marital deduction provision in the Internal Revenue Code in which the surviving spouse receives all of the trust income for life, after which any assets in the trust are subject to Federal Estate Tax. Other types of trusts that may be beneficial in your estate planning are: A Living Trust or inter vivos trust is created during your lifetime for the purpose of long term property management and to avoid probate of your estate, which can hold all of your assets or just specific assets like your mineral interests. An Irrevocable Life Insurance Trust is used to generate liquidity in your estate to enable your estate to pay estate taxes, to fund a bequest, or to transfer wealth to the next generation. A Special Needs Trust is used to set aside money or property to provide current and future income for the needs of family members with disabilities while maintaining their eligibility for government benefits. A Grantor Retained Annuity Trust (GRAT) is an irrevocable trust to which you transfer assets in return for a fixed amount of income for either a given number of years or until your death. A Grantor Retained Unitrust (GRUT) is a trust similar to a GRAT, except that you receive a fixed percentage of the annual fair market value of the trust assets. With both a GRAT and A GRUT, the trust assets pass to the named remainder beneficiary(s). A Qualified Terminable Interest Property (Q-TIP) trust allows assets to be transferred between spouses. The grantor of a Q-TIP trust directs income from the assets to his or her spouse for life but has the power to direct how the assets will be distributed upon the death of that spouse; this trust also qualifies for the federal estate tax marital deduction. While there are many other avenues to consider when making your estate plan, the various options with regard to trusts are important to consider to protect your assets, to limited your taxes, to ensure you are taken care of upon disability and to ensure your family is provided for after your death. 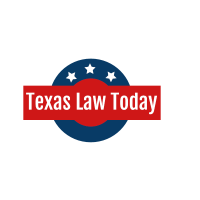 This entry was posted in Trusts Law and tagged credit shelter trust, decker-jones, estate planning, family trust, Fort Worth, grantor retained annuity trust, irrevocable life insurance trust, living trust, marital trust, patricia cole, texas, texas law.